Now when he saw the crowds, he went up on a mountainside and sat down. His disciples came to him, and he began to teach them saying. Jesus had been sharing His message for about a year when He took his followers up onto the side of a mountain to give them some words of advice. They had been living the way of the world … now it was time for a change. Time to do things The Jesus Way. The meek would inherit the earth, and the pure in heart would see God. His followers were to be a beacon of light to a dark and dying world. Getting angry at a brother was not acceptable … forgiveness was not an option. Adultery, divorce and oaths were not cool and we need to learn how to turn the other cheek and love not only our friends, but also the ones who treat us wrong. Give to the needy, but don’t make a show of it … pray to God simply … give him the honor and praise that only He deserves. Fast for God … not man. Don’t put your store in things … things will come and things will go. Put your energy into heaven, your rewards will be eternal. You can love God or money … but not both. Money isn’t the root of all evil, but the love of money is where the trouble starts. Don’t spend today worrying … let today be today. Don’t judge others … period. Ask … seek … knock. these are action verbs. Do something. There is a narrow gate into heaven … and a broad gate to destruction. Choose the narrow gate for life eternal with Him. If you do these things you are wise and your foundation strong. 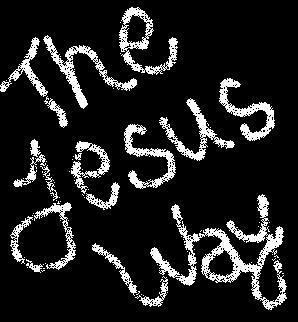 This is The Jesus Way! Father, teach me to walk Your Way. In Your Name I Pray! This entry was posted in Devotional, Encouragement, Maximize Yourself In 2010 and tagged Commitment, Disciple, Encouragement, Leadership, Serving, The Jesus Way. Bookmark the permalink.